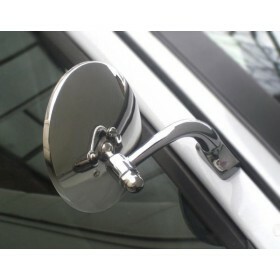 Classic car mirror with a stainless steel deep-set circular head and stem. Plain or blue tint glass. 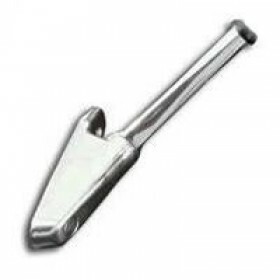 Stainless steel deep-set circular head with plain or blue tint glass. 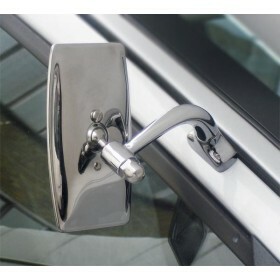 Fixed to a stainless steel stem which fits into the existing 990 door mirror base.